Would you like to have a rocketry program at your school or know more about how to use rockets to teach math and science? NAR would like to provide you with over 61 years of model rocket expertise. Please access our resources by completing the survey below. By filling out the form you’ll be signing up for our Email Educator Newsletter. The newsletter provides ideas, information, resource links and news six times per year and is open to all interested educators. To see what you’ll get, view our list of back issues. If you have additional suggestions for new materials or improvements on our existing guides, please be sure to contact us directly. Vince Huegele, NAR Education Chairman. Please Scroll Down to fill out the Survey. Has your school administration or a parent ever expressed any reservations about the safety of model rocketry? Yes, they've asked safety related questions. No, they've not asked about safety related questions. 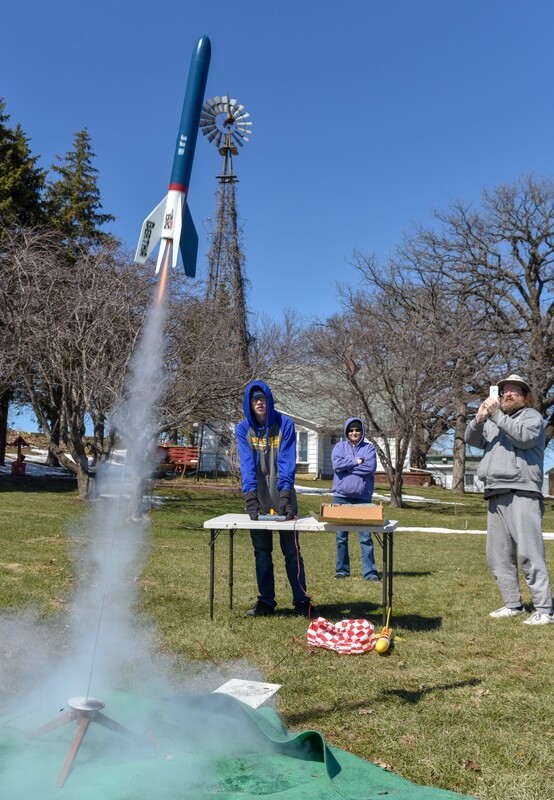 Has your school administration or a parent ever asked you to obtain insurance coverage for model rocketry? Yes, they've asked me to obtain insurance coverage. No, they've not asked to obtain insurance.